Lately I’ve been drawn to small but detailed silver and copper rings and earrings, accompanied by a statement necklace. 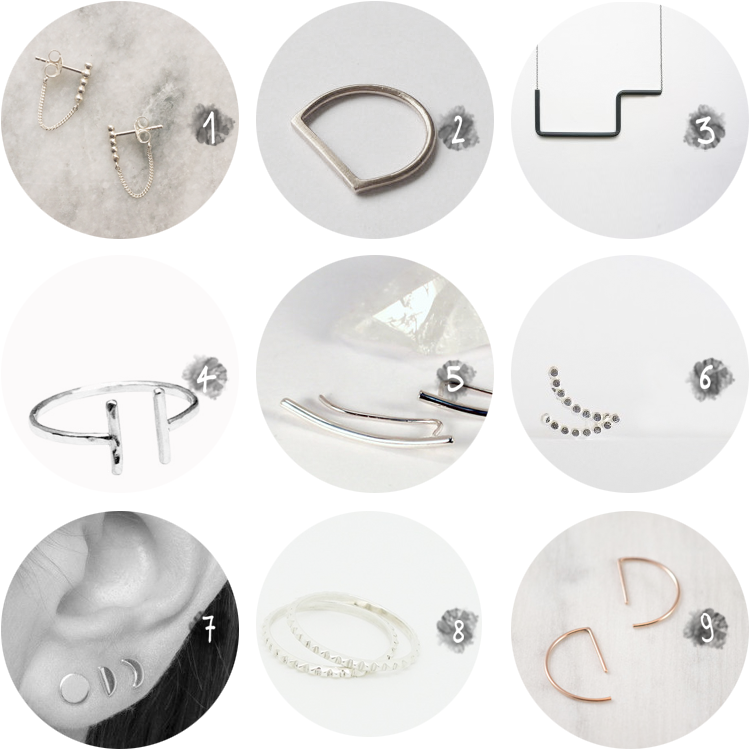 As my wallet doesn’t allow me to buy all the jewelry that catches my eye, I figured I’d share my favorites in a collection blog post, so I can hopefully make you happy with my discoveries! These pieces of jewelry, all made by independent designers, would make beautiful Christmas presents for a loved one… or yourself. I won’t judge! Dot dot dot chain earring from Anna + Nina, available here. Horizon ring from Rebecca Gladstone, find it here. Ursa necklace in black by Sternum, buy it online here or in Antwerp in the Ik Koop Belgisch Brand Store. Thin open ring by StefanieSheehan, get it here. Curved bar ear climber from UndergroundDesigns, for sale here. Double Beaded New Moon studs by Nimzu, find them online here or in Antwerp in the Ik Koop Belgisch Brand Store. 3 moon phases earpins from Fashionology, purchase them here. Arma skinny ring from Paper & Chain, get it here. Line hoop earrings by ag.Jc, buy them here. When I was invited to spend a weekend in Leuven, there was one place on the top of my to do list: Koffie en Staal. This coffee bar with its beautiful interior had popped up on my radar a while ago, but I hadn’t managed to visit it yet. With delicious coffee from other Leuven favorite Mok and a focus on biological and local food, it’s not that hard to make it onto my to do list, but that wasn’t the main reason for my visit. 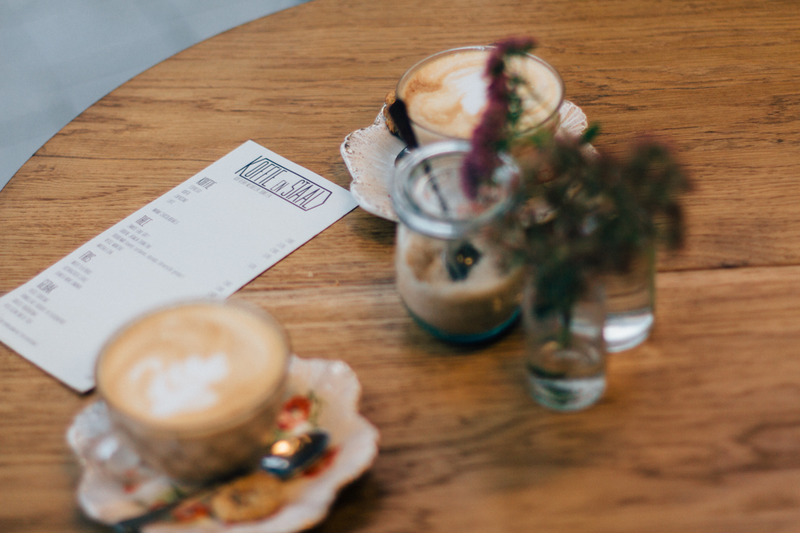 Creative couple Nouchka Nemes and Lino Van Molle have created a gem of a coffee bar that offers quite a bit more than your regular flat white, as the name Koffie en Staal – coffee and steel – implies. Not only your taste buds will be satisfied by coming here, but so will your eyes! Nouchka (graduated as an interior architect and furniture designer) and Lino (skilled at steel welding and wood working) prove that sometimes one plus one really does equal three, as they are combining their forces to create beautiful furniture under the name of Nono. Their creations are not only shining in their own bar, but before I ever heard of Koffie & Staal, they already caught my eye at several other places, including Bar Stan and even my favorite Lisbon hangout Café Tati. (It seems like we’ve got a past in my favorite Portuguese city in common.) Their furniture is for sale in the bar, but if that doesn’t tickle your fancy, you still don’t have to leave empty handed. That’s right, Koffie en Staal not only sells beautiful pieces of furniture but also carries Nusj, Nouchka’s jewelry collection. Reasons enough to put Koffie en Staal on your to do list, I’d say. With the combination of running an eco-friendly coffee house and designing, making and selling both furniture and jewelry, they’ve not only managed to create a lovely hangout, but my dream job as well. Jealous, who? Me? Arrow cuff from Nasty gal: unfortunately already sold out… Hopefully they restock again! Beautiful antler ring from aether design, available in sterling silver and 9ct gold. Kissing swallows bracelet from shopbop. Double band brass ring from Young Frank jewelry. Yara‘s studded ear: so minimalistic and so beautiful. Arro ring by two hills – they really have the best rings. 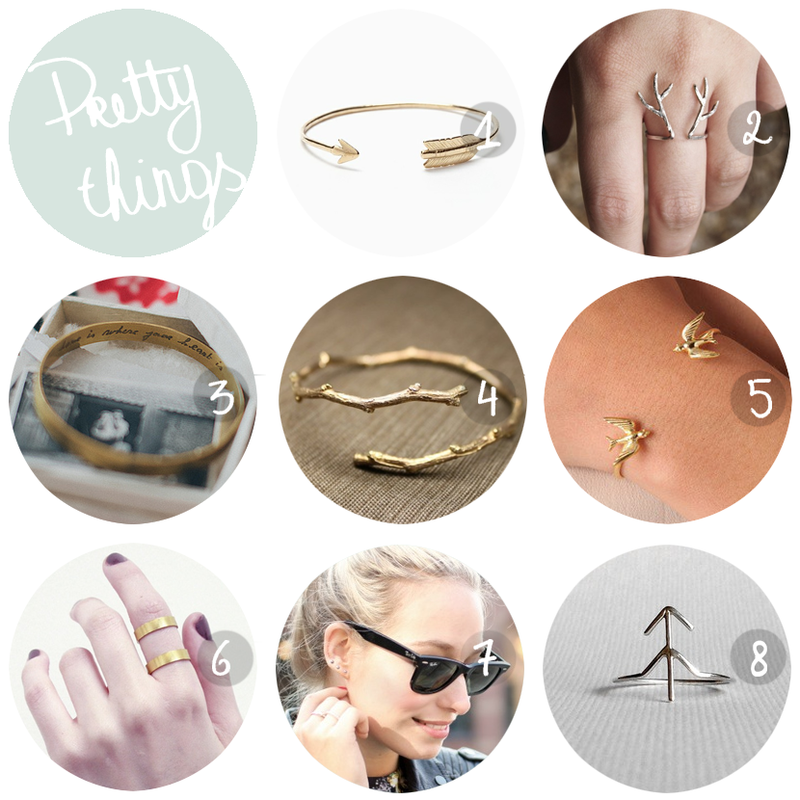 For more pretty jewelry, take a look at this post or my pinterest board. Follow me on bloglovin, facebook, pinterest, flickr and tumblr.